If you’ve talked to me in the last year, then you have probably heard me gush about one of the greatest explorations of the year, the Cycling Silk expedition. One year ago today Mel Yule and Kate Harris were in the heart of Turkey and starting the second week of their journey. 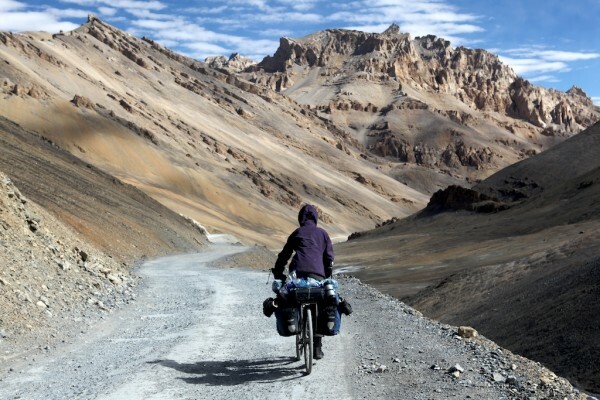 Ten months later, they coasted into Ladakh after ten thousand kilometers, and ten thousand packages of instant noodles. National Geographic and the CBC interviewed Kate about the project, and the recordings are well worth your time. The links are available on Kate’s website. Mel and I lurched off the European shore of Istanbul, Turkey with overburdened bikes and quaking legs. Just a few days ago, in late October, we pedaled into Leh, a small city barnacled onto the Himalayan mountains in northern India. In the months between, we consumed roughly 10,000 packs of instant noodles to fuel nearly 10,000 km of riding, polishing our souls on roads rough as pumice on this pilgrimage to the Silk Road’s wildest mountains and deserts. Then finally, drawn back to mountains like moths to flame, we looped north through India to finish on the crampon edge of the Himalayan winter in Ladakh. An expedition entirely self-supported, to the chagrin of our legs and lungs, and, barring a few unavoidable train and bus rides due to illness, safety concerns, or visa constraints, a journey entirely self-propelled, with no camel caravan in sight. Take that, Marco Polo! People frequently tell me that I what I do is inspiring, that I inspire them in their lives; in my mind, there is no better compliment, and I am humbled by it. The very astute ones, however, sometimes ask who inspires me, and where I draw my inspiration from. That is harder to verbalize. I draw it from the natural world, from those fighting the great fights of our age, and from explorers, scientists, and storytellers like Mel and Kate.